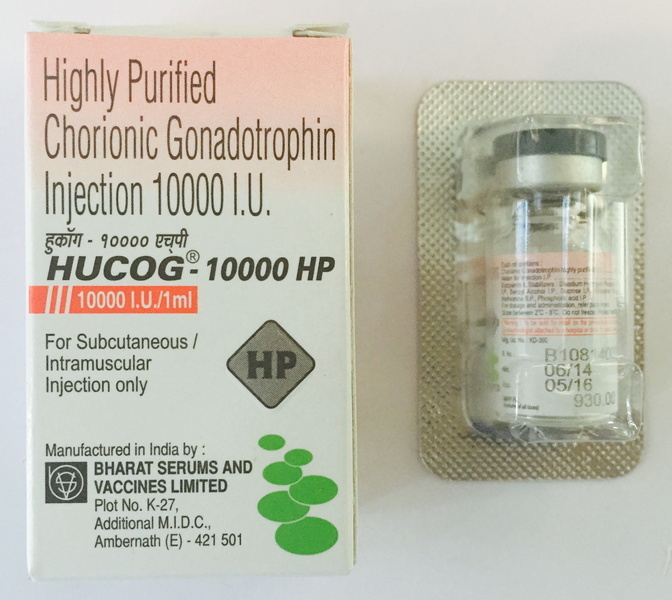 Chorionic gonadotropin (HCG 10000IU) is a natural human hormone contained in a woman’s placenta during pregnancy. To obtain HCG in the form of a drug, the urine of a pregnant woman is used, which is purified in the laboratory. Human gonadotropin in its action is similar in luteinizing hormone, which is a precursor of testosterone. The use of the drug orally ineffective, as evidenced by numerous studies. Experiments conducted in the United States proved the complete failure of food additives containing human chorionic gonadotropin. In addition, in the US there is a ban on the use of this substance. By its effect on the body, Human Chorionic Gonadotropin 10000IU is completely similar to the luteinizing hormone. As well as, luteinizing hormone, gonadotropin gives a signal through the pituitary gland to the testicles to increase testosterone production. In addition to its ability to increase the production of testosterone, the drug improves the quality of sperm, can make more pronounced secondary sexual characteristics in both men and women. In women, the action of chorionic gonadotropin is to increase the production of progesterone and accelerates the maturation of the egg. It also contributes to the formation of the placenta. In vivo, the amount of human chorionic gonadotropin is governed by feedback in the chain of interaction between the hypothalamus, pituitary, and testicles. Lack of HCG 10000IU in the body leads to a decrease in size of the testicles and a decrease in their functionality. Artificial introduction of synthetic testosterone and its analogues gives the hypothalamus-pituitary-testes system to understand that the production of GnRH and gonadotropin is not required. Consequently, the testicles lose their function and decrease in size over time.